On any medium to long ride, the tail-ender is probably the most important person on the ride. Today’s riders were lucky enough to have two exemplary tail-enders – Dirk and Lynton. The ride was a medium 57km tour around Geelong, the weather cool and the route varied, with the plan to ride at a medium pace. Eleven riders set out from Rippleside – Helen (ride leader), Trish and Shane, Barbara and Dirk, Karen, Stella, Coralie, Kelly, Lynton and David J. Dirk offered to be tail-ender and the riders set off through Rippleside Park and St Helens towards Geelong Grammar. The pace was good – aided by a brisk southerly wind. The route then turned to the west, joining the Ted Wilson Trail at the end of Pioneer Road. The first hill of the day, up to Creamery Road, was slow for some. The cream always comes to the top, however, with Karen, Shane (in training for the Alpine Classic), Kelly and Lynton powering ahead. 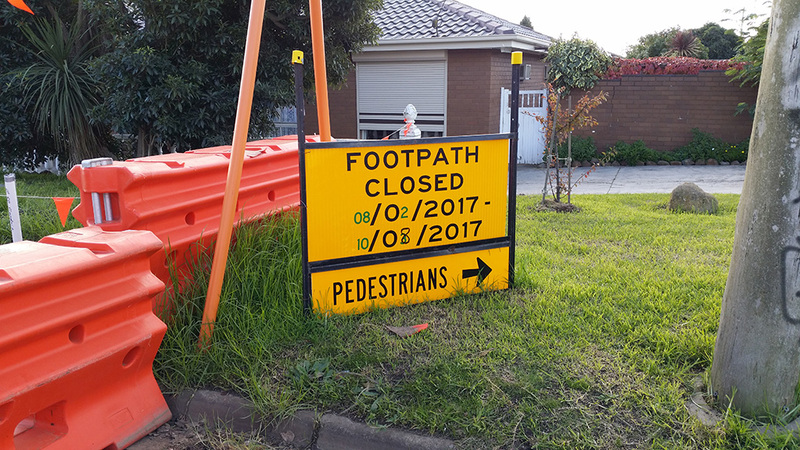 The Ted Wilson trail is still closed at the Church Street end – it has now been closed for 11 months! The riders continued along roads to Hyland Street, then along the Barwon River path to Highton for Coffee. The service at Darriwill Farm made us all more appreciative of the speed and friendliness at Barwon Edge and Cafe Zoo. Eventually, the riders set off again. Trish and Stella had always planned a shorter ride and set off around the river for home. David also left the ride to return home with Nancy who had joined the group for coffee. As it was already 11.30, the Deakin University circuit planned on the original route was left out. The riders proceeded to ride the southern end of the Ted Wilson Trail at Waurn Ponds, where Lynton took over as tail-ender from Dirk. The riders returned to Rippleside Park via Grovedale, Breakwater and the waterfront (see the map above for the full route details). Thanks to all riders, especially our long-suffering tail-enders Dirk and Lynton, for their patience and positive attitude. 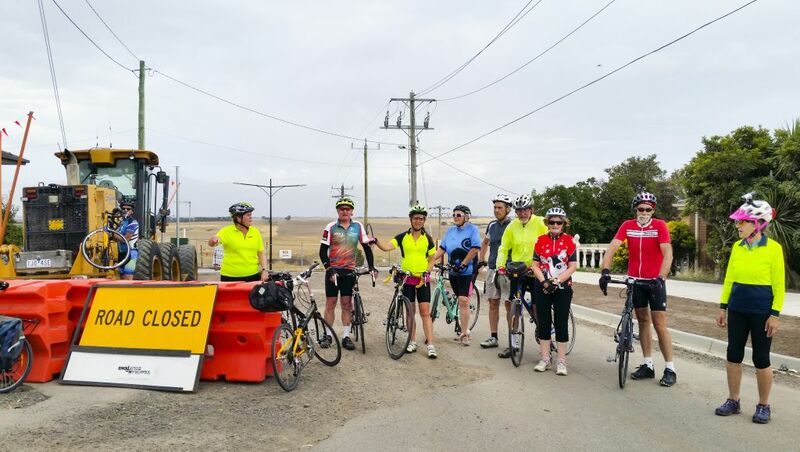 The ride was approximately 57km, with Karen, Kelly, Dirk, Barbara and Lynton still needing to ride some distance home to Corio, Norlane West and Highton. This entry was posted in Ride reports and tagged Barwon River Circuit, Ted Wilson Trail by hlyth2013. Bookmark the permalink.